Christmas is the time of year for over indulgence, seeing family and friends and being party ready at a moment’s notice. Treat yourself to Red Carpet Manicure Treatments to keep your nails strong and Red Carpet ready throughout the festive season. 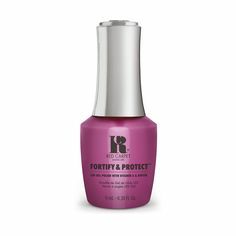 Our Hyper Hydrator can be applied twice a day to keep cuticles nourished and we all know nourished cuticles mean healthier nails. Massage the oil in for an extra post party pamper, apply after manicure application or removal. Taking a break from your Gel Polish routine for Christmas and opting for Nail Lacquers? Apply our R&R Protein Therapy once a week, removing before each application for longer, stronger nails. The R&R Protein Therapy can also be used as a base coat for Red Carpet Manicure Nail Lacquers. Don’t forget we’ve got Buy One Get One Free on all Red Carpet Manicure Nail Lacquers until the 2nd January 2018 with the code LACBOGOF. Looking for the perfect nourishing base? 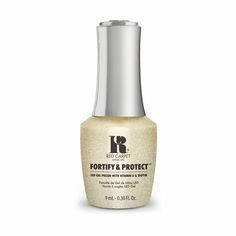 Our 8-In-1 Base Coat targets weak nails to encourage healthy growth and stronger nails. 8-In-1 can be used a base coat under your chosen nail lacquer, or apply two coats once a week, removing before refreshing the application after a week and use as a treatment. Which RCM Treatment is your go to for party season? View a how to on all treatments here.